Your sinuses produce mucus that protects your nasal passage from pollutants and allergens. Sinus infections occur when the tissues that line your sinuses become inflamed, usually due to a cold or allergies. Sinusitis comes in two forms: acute and chronic. The first lasts about 4 weeks and the second can last a year or more. Sinusitis causes swelling, which blocks the sinuses, trapping air and mucus inside. 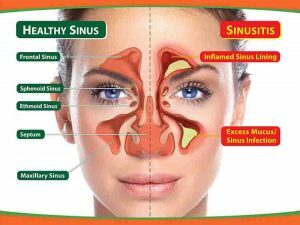 This is what causes the facial pain and pressure and the thick, discolored mucus associated with sinus infections. According to surveys, 37 million people get sinusitis in the U.S. every year, and they spend billions of dollars on treatment. But you don’t have to be one of them. You’re about to discover 17 effective, affordable methods for treating and preventing sinusitis at home. Let’s get started. Garlic kills the bacteria and fungi that cause sinus infections. Add 3-4 crushed garlic cloves to boiling water. Drape a towel over your head, lean over the pot, and inhale the steam. This will thin the mucus clogging your nasal passage. Boil 2-3 garlic cloves in 1 cup of water. Add ½ teaspoon turmeric powder. Stir well, pour in a glass, and drink. Eat raw garlic cloves or garlic bread or pizza to get relief from sinus infection. Note: Don’t give raw cloves to children for eating. Apple Cider Vinegar (ACV) helps clear your stuffy nose and thin mucus immediately. If you don’t like the methods listed below, try ACV tablets. They can be found at most grocery stores. Stir in 2 tablespoons apple cider vinegar and 1 tablespoon raw honey. Mix ¼ cup apple cider vinegar into 16 oz cold water. In a pan, mix ½ cup each of apple cider vinegar and water. Drape a towel over your head, lean over the pan, and inhale the steam. This will thin mucus and clear your nasal passage. Note: Use organic apple cider vinegar for better results. Turmeric reduces sinus inflammation, and it contains a substance called curcumin, which helps to heal the sinus cavity and clear airways. Use turmeric as a spice in your cooking. Or take the tablets available at your local grocery store. Inhaling steam opens your airways and carom seeds thin mucus. Add 1 tablespoon crushed carom seeds to boiling water. Note: You can use few drops of peppermint oil instead of crushed carom seeds. Fenugreek seeds have anti-inflammatory properties. Add 1 tablespoon fenugreek seeds to a glass of water. Drink this warm water several times daily. This essential oil helps to fight infection and strengthens your respiratory system. Pour a few drops of eucalyptus oil on a clean cloth. Hold it to your face and inhale. Putting eucalyptus oil on your pillow may relieve symptoms overnight and help you sleep. Grapefruit seed extract has antibiotic properties that help to fight infection. Mix 5 drops of grapefruit seed extract into 6 oz of water. Grapefruit seed extract also comes in tablet form. Take a small amount at first to ensure you are not allergic to it. Tomato is rich in vitamin A, and it has anti-inflammatory properties. It helps repair the mucus membranes in the sinus cavity. Bring 1 cup of tomato juice to a boil. Add 1 tablespoon chopped garlic, ½ tablespoon hot sauce, 1 tablespoon lemon juice, and a pinch of celery salt. Mix well and boil for 3 minutes. The sulfur in onions kills the bacteria that cause sinus infections. Add chopped onions to boiling water. Or you can cut an onion in half and inhale the fumes directly. This clears mucus and opens your nasal passage. In a cup, mix ¼ teaspoon salt, ¼ teaspoon baking soda, and 2 teaspoons of warm water. Fill the cup the rest of the way with room temperature water and stir. Use a dropper to pour a few drops. Till your head one side and pour few drops of this solution into one nostril. It will go into your nasal cavity and run out the other nostril and down the back of your throat. Gently blow your nose and spit out the drainage to clear the nasal passages and throat. Repeat the process for other nostril to get relief from the sinus infection. Note: Don’t do this before going to bed as sinus will drain immediately into your ear canals which may cause ear infection. Horseradish clears up nasal congestion. Put a pinch on your tongue and hold it for few minutes to clear your sinuses. Once the flavor is gone, swallow it to clear the mucus from your throat. Oregano oil treats the sinus infection with its natural healing properties. Add a few drops of oregano oil to boiling water. Make sure to close your eyes while inhaling. In addition to fighting infection, this improves digestion. Ginger has anti inflammation properties. Finely chop fresh ginger root. Strain and drink as tea or inhale the steam. A hot compress placed over the sinuses will reduce facial pain, headaches, and nasal congestion. Soak a towel in hot water and wring out the excess so it’s not dripping. Place it over your forehead and nose. Leave it on until it cools. You can add a few drops of eucalyptus or menthol oil to your water for better results. Lemon balm fights the bacteria that cause sinus infections. Boil lemon balm leaves for 10 minutes. Strain and use to gargle. Your diet plays a major role in your overall health. Eating right will help your body fight infection and prevent it in the future. Drink herbal teas regularly to flush out toxins and thin mucus. Add ginger, garlic, onions, and hot chilies to your food. These help keep nasal passages clear. Eat foods rich in vitamin A like carrots, mangoes, tomatoes, sweet potatoes, and broccoli. Eat foods that have anti-inflammatory properties. Drink plenty of water. Staying hydrated helps prevent infection by draining excess mucus. Avoid dairy and highly processed foods. These cause congestion. Avoid highly refined white sugar and flour. These increase mucus secretions. With the pads of your fingers, gently apply pressure to both sides of your nose and between your eyebrows. This alleviates pain, reduces inflammation, and improves blood circulation to the membrane that lines your sinuses. Consult a specialist to ensure you are applying pressure to the proper areas. Use a humidifier at night to open nasal passages. Take hot showers and inhale the steam. Get plenty of sleep and avoid stress. Elevate your head while sleeping to help drain sinuses. Take fermented cod liver oil capsules to boost your immune system. Seek treatment at the first sign of a cold or allergies so they don’t lead to sinus infection. Avoid using chemicals that emit strong fumes. Wash your hands often as bacterial and viral infections are most common causes of sinusitis..
Have you tried any of these home remedies for sinus infection? Do you know of any others we haven’t mentioned? We’ve round up a separate article discussing tea tree oil to treat sinus infection that you can check out. Share your experience with us! # 13. I mix the ginger with 1 lemon squeezed while boiling. I add 2 capsules of turmeric (1/8 tsp) to cup. Strain ginger tea over cup. I drink 2 cups in the morning and evening. This has helped severe pain,pressure and helps in drainage. I am using it now and will be using other remedies here. Thanks for the help !! Good to hear your experience. Thank you very much for the remedies, I used the remedy 9, “Onion” and it’s very effective and easy. I cut an onion in half and i inhaled the fumes directly. and now i feel better, it helps you to get ride of mucus. Yes, cayenne pepper is helpful in draining congested mucus in the nostrils. Add half a teaspoon of cayenne pepper to a cup of warm water and drink it. This will heat up the body which triggers the melting of thick mucus. When steaming, is it 3x a day or once only? As you have severe infection, you can use the steaming process 3 times in a day. Eat a salad with sprinkles of cheese and gobs of onions and red wine vinegar….immediate relief! It looks to me that sinus congestion and mucus coming down to the throat causing a sever caught, especially at night. Would you recommend Manuka Honey nasal rinse to treat or reduce these symptoms? Yes, you can try Manuka honey nasal rinse to reduce the discomfort. I have a dog (although I have always had dogs) I have a walnut tree outside my door… not sure if I can be allergic to walnut trees! It is difficult to breathe at night sometimes and wakes me up. I have tried various homeopathic remedies to no avail. (Euphrasia, arsenic album, Nat mur, belladonna, nux vom,) my eyes were extremely sore and itchy, that has improved with the introduction of Nat mur. I eat well. Have turmeric in various meals. I exercise everyday. Running/swimming/cycling. 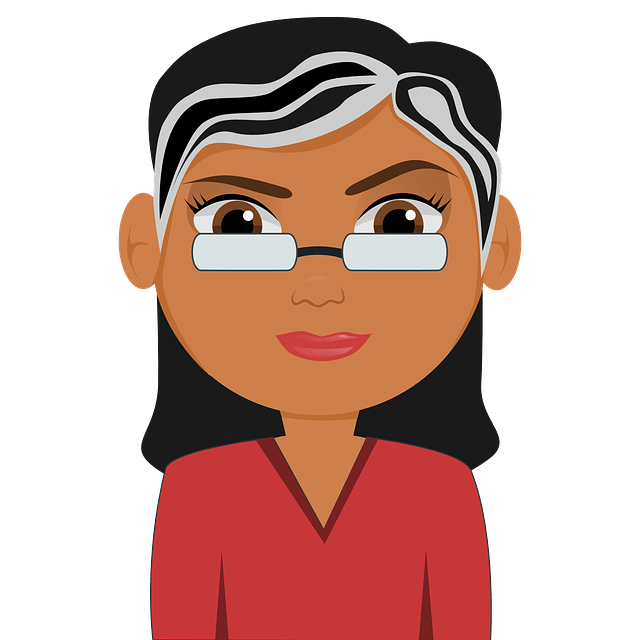 Please which home remedy can cure cavernous sinus thrombosis? have not yet done any am about to start with onion. Would boiling baking soda and potatoes and breathing in their vapors help open up lungs/improve breathing? Can it make it seem like a tooth infection? I have been suffering from pan sinusitis for many years. Allergy test shows vasamoto rhinitis.C T Scan result shows Pansinusitis.